At Lacamas Dental we were the first practice to begin actively using digital X-rays in Clark County, since 1997, over the more commonly used film X-ray. 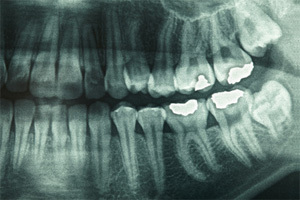 We invested in the Dexis Digital X-ray system and the advantages of this system were apparent immediately. Through the use of this new system we were able to reduce the amount of time you have to spend in the dentist office with nearly instantaneous digital film development. Through the use of digital X-ray systems we were also able to phase out the use of harmful chemicals that were required in the use of film development which helps to make our Practice more environmentally friendly. This is just one way we are working to increase your dental health.